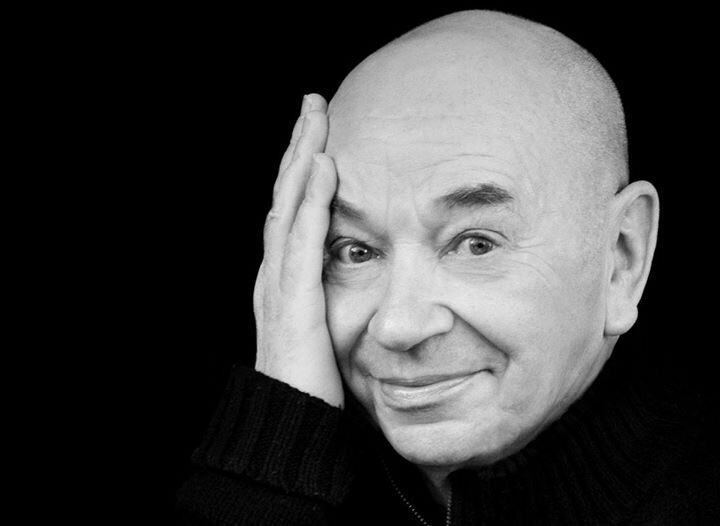 We were very sad to hear today of the passing of the great dancer, actor, teacher, mime artist, and choreographer, Lindsay Kemp. 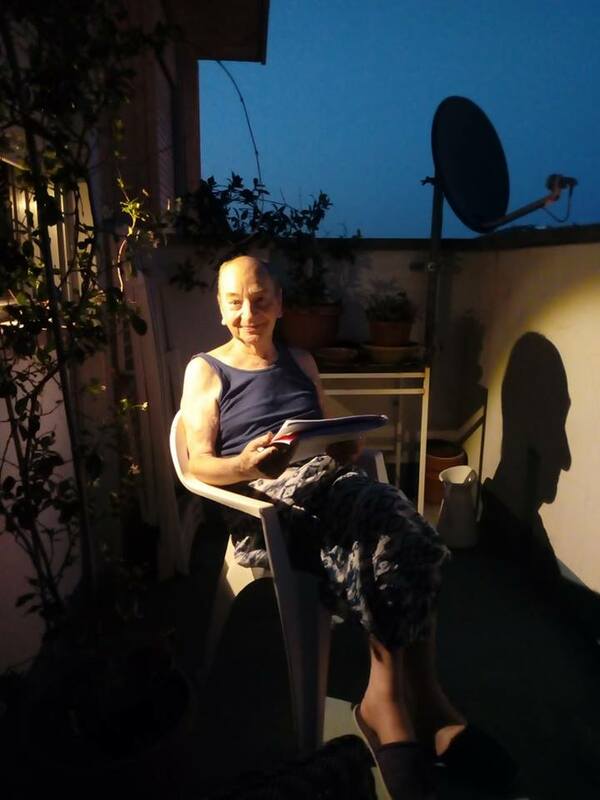 He was 80 years old and had been at his home in Livorno, Italy preparing for upcoming performances and writing his memoirs. 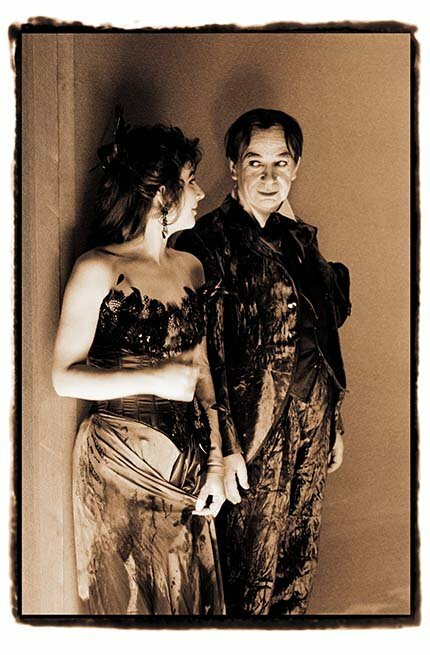 When Kate reissued her album, The Red Shoes, in 2011 with a warm analogue remaster, she made sure to include a prominent new dedication on the sleeve-notes: “Special thanks to Lindsay Kemp, the most original artist ever, for being such an inspiration”. 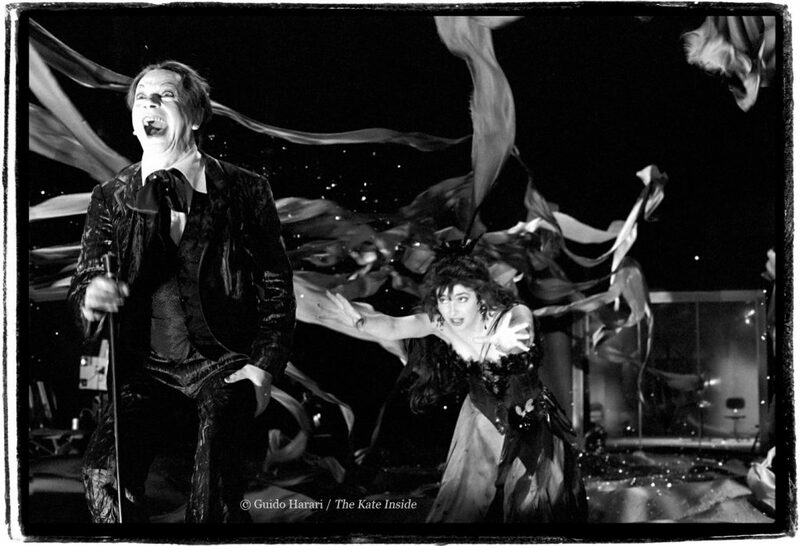 It was accompanied by a Guido Harari photograph of Lindsay in costume from the set of Kate’s film The Line, The Cross and The Curve, dancing manically on burning bones and grinning broadly, lost in the joy of the dance. 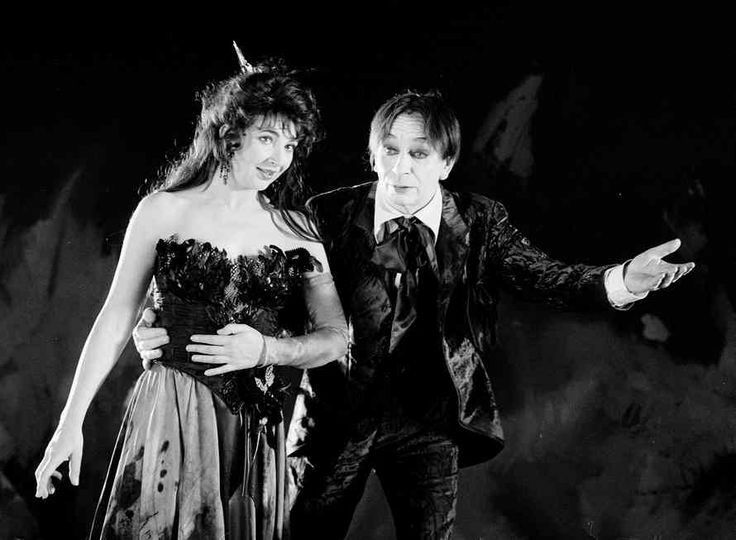 For Kate Bush fans, Lindsay was one of those iconic reference points in Kate’s early story, like Gilmour, or East Wickham Farm or the KT Bush Band – her decision to attend his classes and learn how to extend her musical expression into movement and dance utterly changed the shape her career would take. Lindsay was born on May 3rd 1938, growing up in a poor one-parent family in South Shields on Tyneside, and transformed himself, via early performances in working men’s clubs, into an influential avant garde creative force working across Europe. He studied art with painter David Hockney, who took him to see his first ballet at Sadler’s Wells in London. He went on to study dance with Hilde Holger and mime with Marcel Marceau and founded his own dance company in the 1960s. He met David Bowie in 1966 when Bowie attended his dance classes in London. “He came to my dressing room and he was like the archangel Gabriel standing there, I was like Mary,” he said. 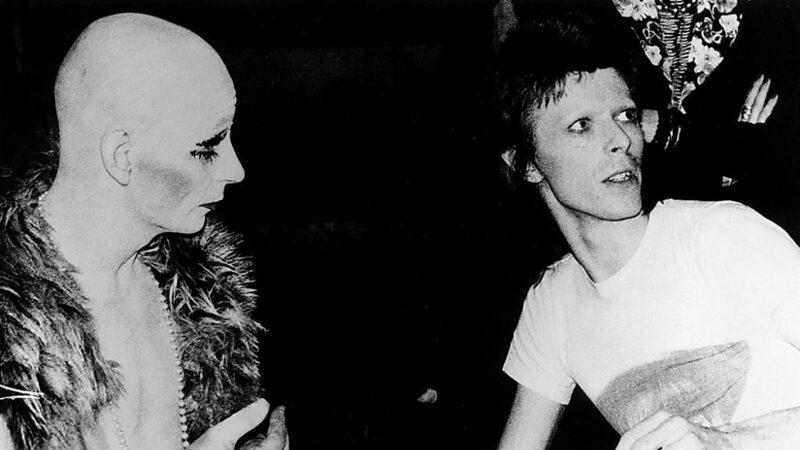 “It was love at first sight.” Bowie became his student and his lover, performing in Kemp’s show, Pierrot in Turquoise and gaining the theatrical inspiration for Ziggy Stardust. “He was certainly multi-faceted, a chameleon, splendid, inspiring, a genius of a creature. But I did show him how to do it,” Kemp said. After their brief relationship, Lindsay went on to choreograph and perform with Bowie at the Ziggy Stardust concerts in 1972. Needless to say Kate had never seen anything like it; it reduced her to tears. “The first time I saw him it was like a whole new world opened up for me. He did more than I’d ever seen done on stage before and he never opened his mouth!” Kate would later sing backing vocals on a song called “Flowers” released in 1982, dedicated to Lindsay by singer Zaine Griff, also a student of the maestro. 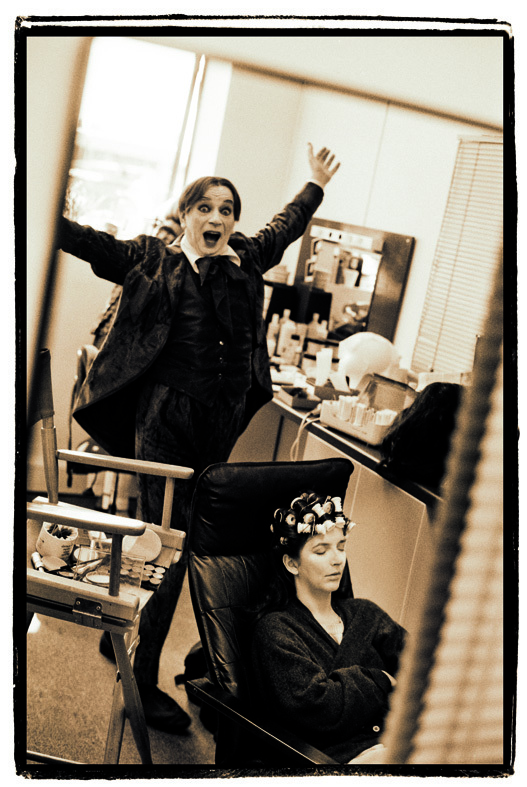 In recent interviews Lindsay humorously and affectionately recalled the teenage Kate Bush showing up at his classes. Kate dedicated the opening song from her debut album, The Kick Inside, to Lindsay, much to his surprise and delight. The lyrics of ‘Moving’ describe the devastating effect Kate felt on seeing him in performance. Kate went on to cast Lindsay in the role of a mysterious guide in her 1993 short film, The Line, The Cross and The Curve. A wealth of photographs from this project surfaced recently when photographer Guido Harari published a lavish book, The Kate Inside, containing many images of Lindsay and Kate working together. You’ll see some of these shots at the end of this article. Lindsay wrote the foreword for the book as well as co-signing some deluxe editions with Guido. As recently as June of this year, Kate sent flowers to Lindsay to congratulate him on a stage performance in Manchester, his white-painted face as expressive and beguiling as ever. The world has lost a truly original and great artist of the stage. To call him a mime artist is like calling Mozart a pianist. He was very brave, very funny and above all, astonishingly inspirational. There was no-one quite like Lindsay. I was incredibly lucky to study with him, work with him and spend time with him. I loved him very much and will miss him dearly. Thank you, dear Lindsay. Read about Lindsay’s work at his official site here. 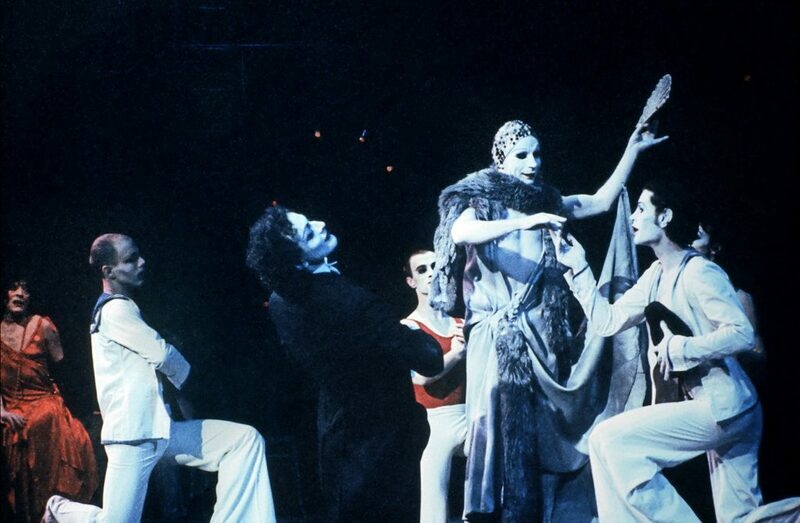 I want to express my condolences to Kate and the KB staff on the passing of Lindsay Kemp. Thank you, Seán. Thank you, Lindsay. To be the subject of “Moving” is most impressive. Thank you for this wonderful tribute, including the terrific photos.